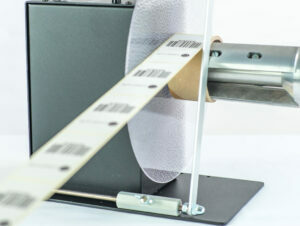 The CAT-3-ACH handles labels up to 155 mm wide and will wind a roll of labels up to a 280 mm diameter. This unit includes an Ajustable Core Holder (ACH) that accepts any core size from 25mm to 101mm. Torque and Direction are fully controllable from the Control Panel. Dual torque ranges provide plenty of power for use with a LABELMATE Slitter, too. Rugged, heavy-gauge steel construction allows your CAT-3 Rewinder to be simply set in place. Special anti-slip feet keep the unit from moving.